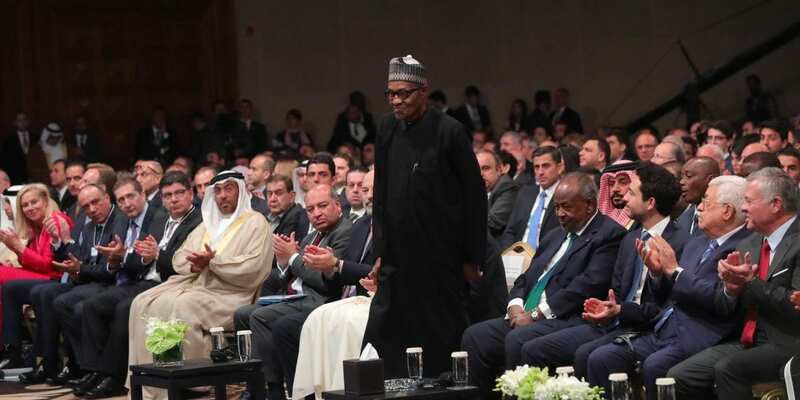 PRESIDENT BUHARI SPEAKING AT THE #MENA19 JORDAN 5. 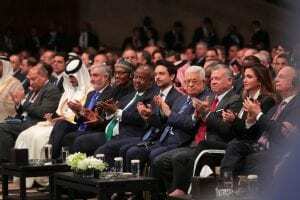 R-L; Wife of the King, Queen Rania, King of Jordan, Abdullah II bin Al-Hussein, President of Palestine H.E President Mahmoud Abbas, H.R.H Crown Prince Al Hussein Bin Abdullah 11, H.E Chief Executive Afghanistan, Dr Abdullah Abdullah, President Muhammadu Buhari of Nigeria, President of Djibouti H.E Ismail Omar Guelleh, Representative of Kingdom of Bahrain, Prince Hussein bin Abdullah, H.E President Mahmoud Abbas at the opening of the World Economic Forum on the Middle East and North Africa taking place at the Dea Sea in Jordan. PHOTO; SUNDAY AGHAEZE. 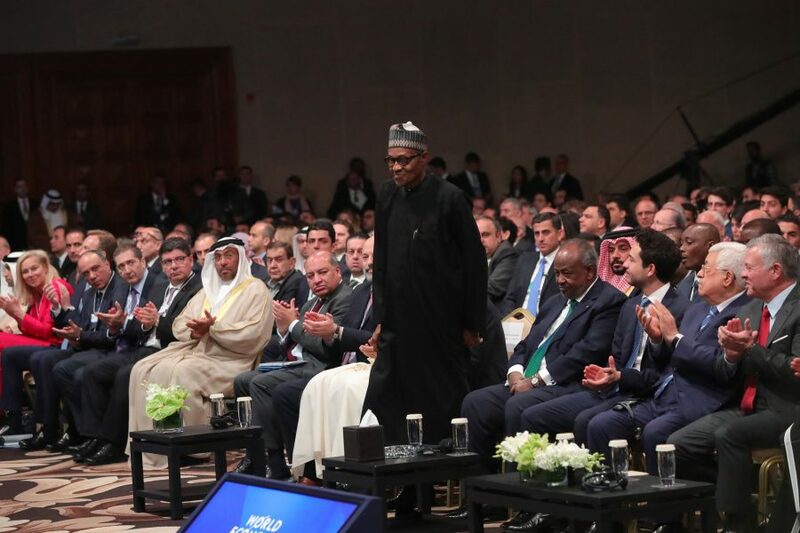 APRIL #MENA19.